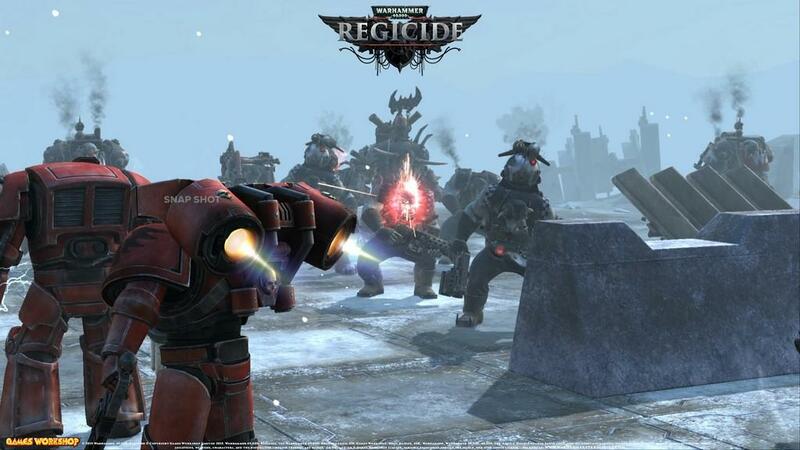 After a wide variety of Games Workshop games ranging from Dawn of War to Space Marine have been released, it was surprising to see what developer Hammerfall Publishing had in the works for its early access title Warhammer 40,000: Regicide. 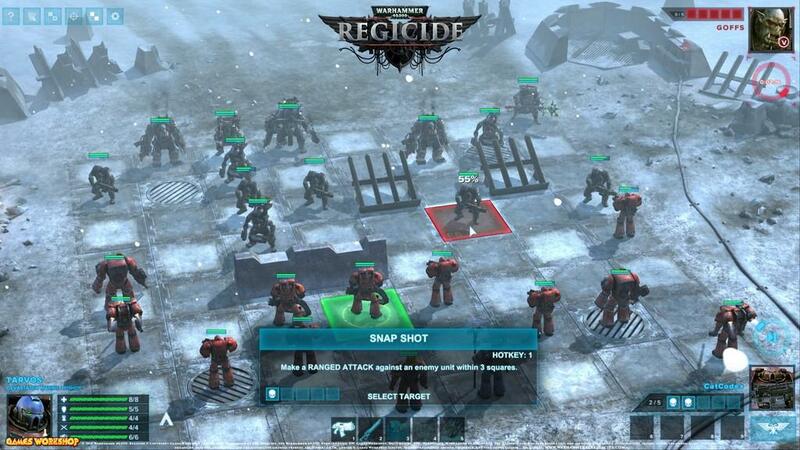 At first glance, one whole guess that the game mixes Warhammer 40,000 and the board game of chess. 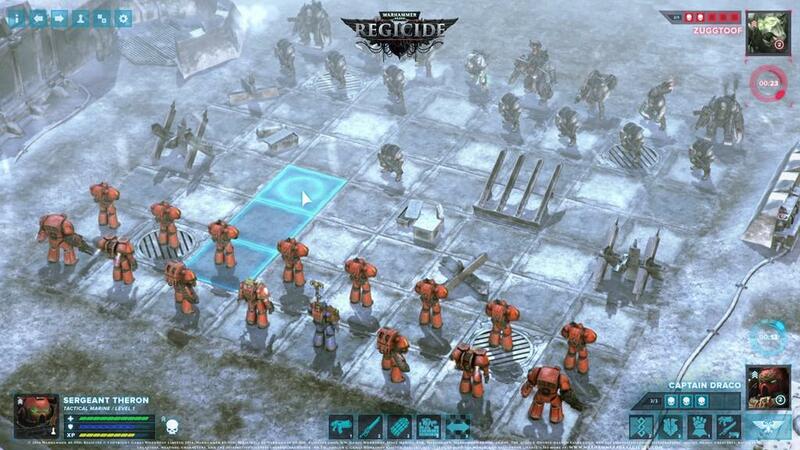 Well, that guess would be correct as one game mode is a recreation of chess that's been infused with the Warhammer 40,000 setting and unit types. The other game mode that shares the title's name, Regicide, combines the basic chess formula with a greater focus on combat. While the game's campaign isn't yet available, players can play skirmish matches against either the computer or other competitors online. 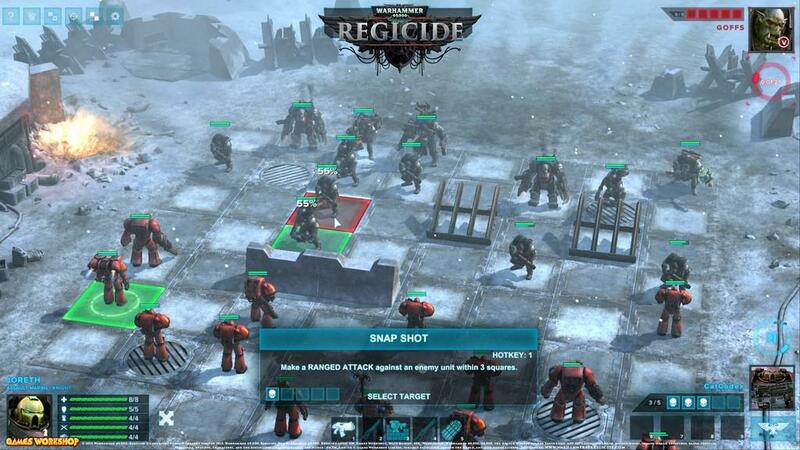 The Regicide game mode includes movement and initiative phases, which functions similar to other turn-based tactical games in that the opposing side follows after the player completes their moves. As the name suggests, the movement phase allows for character movement across the board that is specific to the character type in regards to how many cells that can be covered. The initiative phase has players executing their attack and defense actions ranging from firing at a enemy soldier to digging in for protection in the next round. 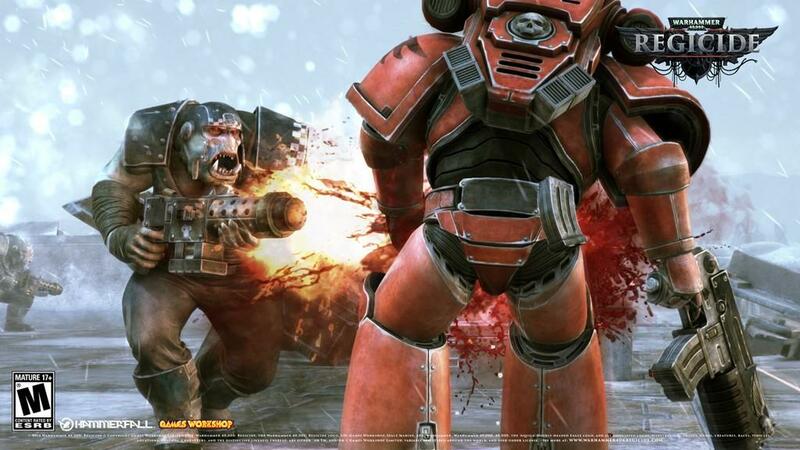 While all units have options for basic attack and defense actions, individual unit types such as Terminators have the ability to pin down enemies with their assault cannon. As players win further matches their individual units gain experience and are then able to level up their health statistics and such. 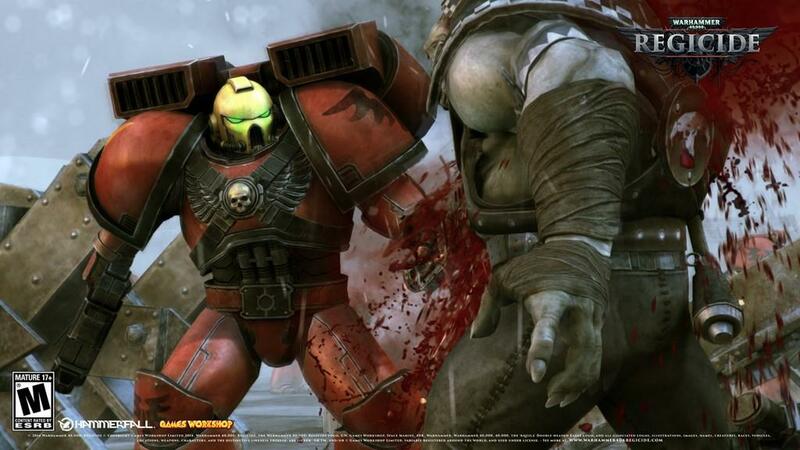 Currently the game contains Space Marines and Orks, each with their own individual chapters and clans. 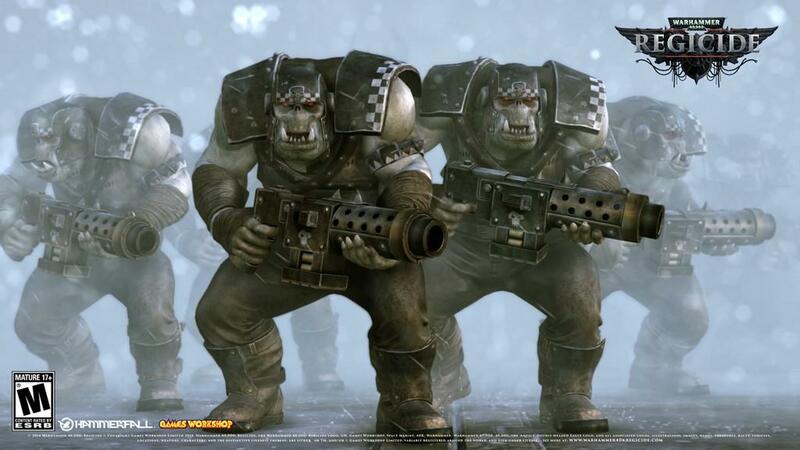 The game's 1.2 update added the Raven Guard Space Marine chapter and Snake Bites Ork clan. 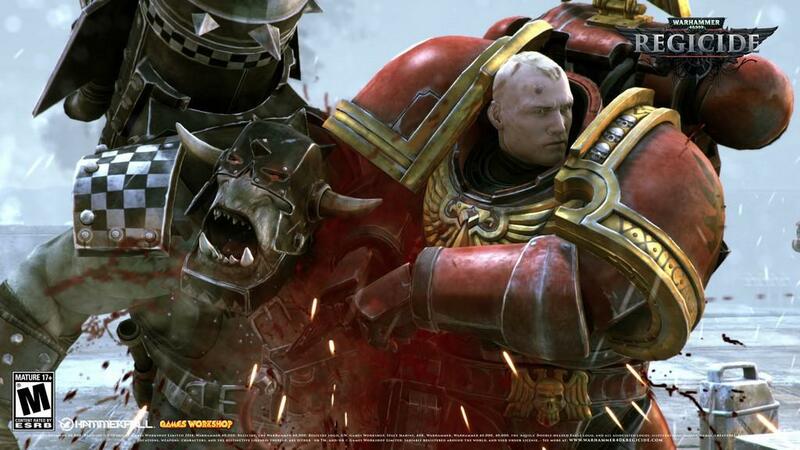 While the early access version currently doesn't have a campaign, it's teased with a video and described as focusing around the Space Marine Blood Angels chapter. Combat between Space Marines and Ork in the game perfectly encapsulates the gritty nature of the Warhammer 40,000 universe. Upon the death of a character a cinematic animation is shown between the Marine and Ork, of course in a spectacular display of blood and gore. Basically, death animations displayed in-game are the recreations of what people playing the tabletop version imagine in their head when units clash in combat. Even better, they never got repetitive during a typical match because of how well their crafted. However, players in a rush still have the option to hit the spacebar to skip past both their own and the enemy's match moves. Level environments fall in line with typical Warhammer 40,000 battlegrounds ranging from ancient forests to snowy bunkers. Each level also has multiple time settings to determine if players want to fight during the day or at night. In regards to presentation, the game's visuals strike a good balance between a zoomed out tactical view but also look detailed up close during combat animations. Performance spikes with slow frame rates and lack of graphics options in regards to higher resolutions such as 4K are current issues in the early access version. The game's visuals shouldn't demand such a heavy cost on frame rates, which hopefully can be solved by performance optimizations before the game's full release. 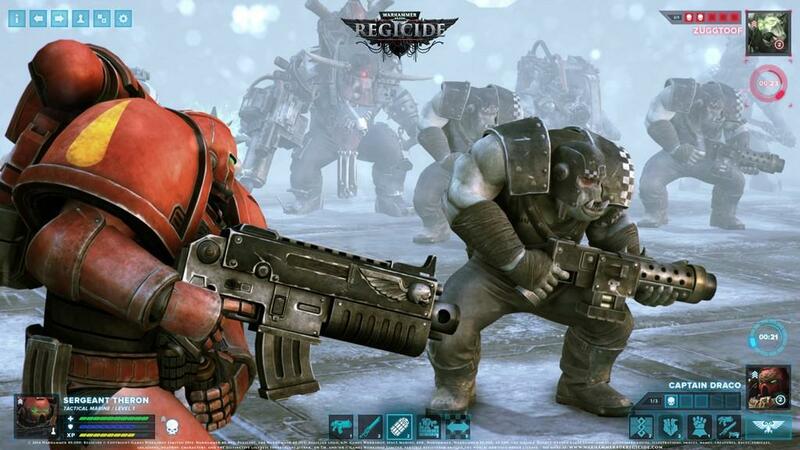 Warhammer 40,000: Regicide is a nice change of pace from other games in the same universe as it calls back to the tabletop's original strategic roots. Those gamers looking for a more action focused, all guns blazing experience might want to check their adrenaline at the door. However, those gamers looking to truly plan their next moves and receive satisfaction from superior strategic moves will be right at home. Without having access to the game's campaign at the moment and lack of more game features, it's difficult to tell what the final version will look like upon release. In the game's current early access state it does show a great deal of promise of what's in store for future updates. Warhammer 40,000 fans shouldn't hesitate in rolling up their strategic sleeves and jump right away into the battlefields of Regicide. 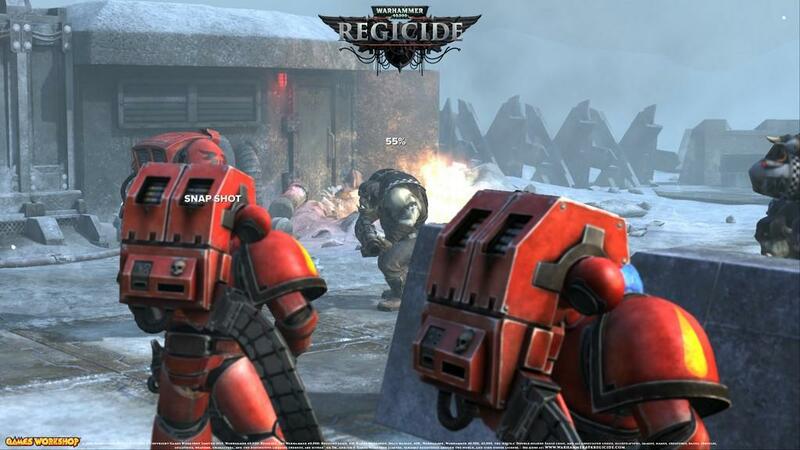 Warhammer 40,000: Regicide is currently available through Steam Early Access.